Niki Lauda won by more than a minute from McLaren teammate Alain Prost after the Frenchman’s car broke down before the race and he had to start from the pit lane in the spare car. The two Brabhams of Nelson Piquet and Teo Fabi had massive speed and headed the field early on but neither of their BMW engines even lasted until half-distance. That left Derek Warwick’s Renault third ahead of Riccardo Patrese’s Alfa Romeo, Andrea de Cesaris’s Liger, and Ayrton Senna in the Toleman, scoring the first points of his F1 career in just his second race. A good race in which to be French or Italian as drivers from the two nations completely filled the top six. Alain Prost held off Michele Alboreto’s Ferrari by just a few seconds, with Elio de Angelis a lap down in third. This was also the first race for the legendary Minardi team - however, driver Pierluigi Martini qualified dead last (some 16 seconds off pole) and ran at the back for pretty much the whole race until the engine finally failed. Pedro Diniz caused all sorts of chaos in the middle of the race. 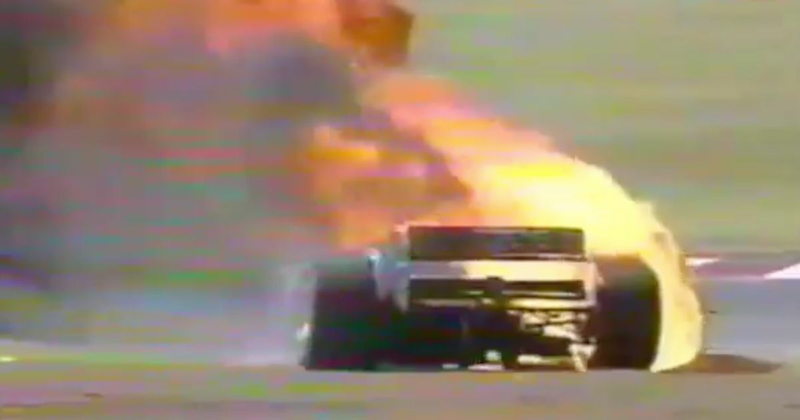 First, he flipped the Forti of Luca Badoer into the gravel and then, after making a pit stop during the resulting safety car, his Ligier caught fire in a big way, prompting The Sun newspaper to run the punny headline “Diniz in the oven’. 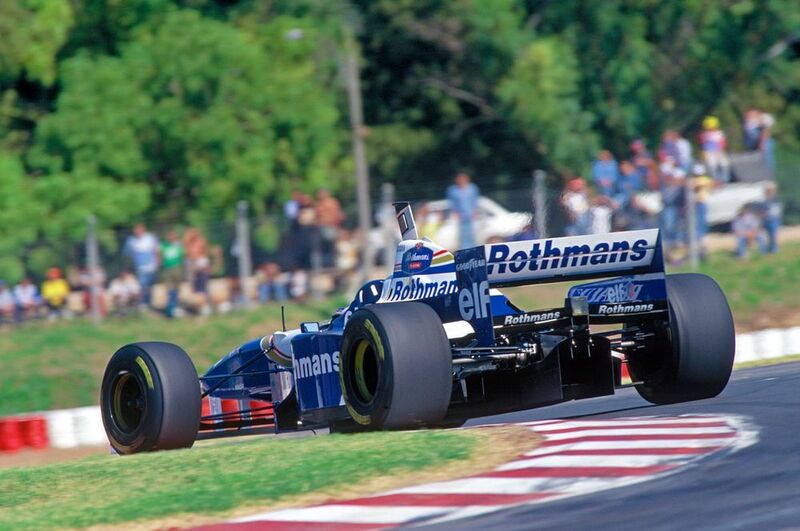 Up at the front, Damon Hill made it three wins from three, with Jacques Villeneuve second and Jean Alesi third.